Mark Shreeve came away from his first encounter with Spacemusic a changed man. After hearing early works by Tangerine Dream and Cluster on John Peel's BBC radio program, Shreeve felt as if he had, not heard, but rather passed through - something. Now well into an accomplished music career, Shreeve still feels this music's hold. Describing classics such as Phaedra and Rubycon as "timeless", Shreeve imagines that this music has always existed out there somewhere in the cosmos, waiting for us to encounter its presence and feel its power. The centerpiece of Redshift, Shreeve's Spacemusic project, are his talents with the sequencers and synthesizer of an old Moog modular system. Along with his skilled melodic invention, atmospheric modulations and heroic shifts in tonality, Shreeve is also unparalleled in realizing the fascinating patterns, riffs and pulses that dominate the Redshift sound. Surpassing even the original albums by several parsecs, Shreeve creates a wondrous interaction between the constantly adjusting rhythms and the incomparable sound quality of the ancient Moog components. The CD RW3 (59'18") is the third in the "Redshift Wild" series. 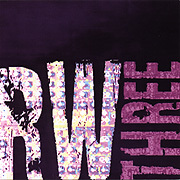 Containing five tracks from the vault, RW3 presents previously unreleased live and studio tracks. Redshift's core group features Mark and Julian Shreeve with contributions from James Goddard and Ian Boddy. While these works originate in 1996 and 2004 the sounds still seem to leap out of the speakers - liberated as objects in space. There is a fearlessness to the live tracks while in the early studio work we hear the ensemble first venturing into the void. The greatest music reaches past the initiated. 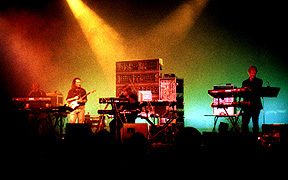 From bone rattling basslines to dark as night atmospherics the music of Redshift whirls and unfurls into magnificent songs of space. Do not wait to experience their works, such a biography will quickly metamorphosis into legend.